Christmas Eve is a very special day in the Mexicans' celebration of Christmas. To honor this and provide the families with special gifts from the volunteers and donors, Operation Feed hosts two gift parties. Volunteers arrive between 11:00 and 11:15 to help with the last minute set up details and take on a job. The families with children 12 and younger come first at noon. We will have a blessing and say a few words about our commitment to the recipients and then get started calling them to the gift areas. They get gifts for their children from the GO Restaurant Christmas project and our own Egg Ladies. A chicken dinner is provided through designated donations. Many people donate gently used items all year long, so we are able to let each family pick a special "raffle" gift. They also get a bag of little soaps and travel items from all of our wonderful donors who travel throughout the year. Finally they will be able to take home a small plastic tub with three "Tupperware" containers inside. At about 1:00 pm, we welcome the families who do not have the smaller children. Again they get the chicken dinner, soaps, "raffle" gift, and the "Tupperware" package. They also get to choose a donated purse and scarf. We also love to have some treats brought for all the volunteers who come to help. Cookies, water in bottles, nuts ... things easy to carry while working. 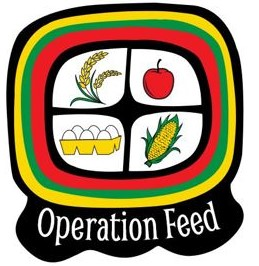 How did Operation Feed get to this day? 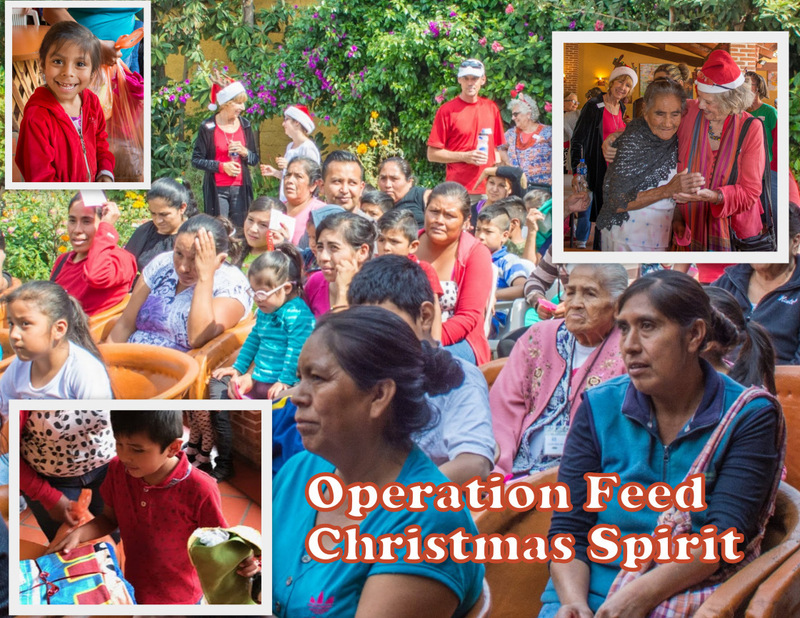 Operation Feed works all year to make the Posada Day special. Our volunteers and donors bring us the hotel niceties throughout the year. Yesterday a team of 4 people gathered all the goodies up and bagged them into gifts for each family. Throughout the year, we get items from donors who are cleaning out their homes. Towels, blankets, suitcases, ironing boards, dishes, etc. We store these until our volunteers can haul all the "booty" to Viva Mexico and put together "raffle" packages for all of our families. A great team worked for two hours yesterday putting all this together. On the day of the Posada, families are called up by drawing numbers. They then get to choose one of the gifts. A couple of items that seem to be a popular donation this year were scarves and purses. We have enough for the families without young children to pick one of each as a special gift. A team went through the items and got them ready for display. The Egg Ladies buy items for the children's stockings and take the items donated by others and spend two days getting things organized and bagged up. Sometimes people we don't even know just bring us special things. Yesterday, Steve Nolls brought over toothbrushes, toothpaste, and oranges to add to our gifts. Finally, it's a matter of donations. We were able to fund our "Tupperware" gift by getting 200 pesos donated for each of our 109 families. Kind donors made sure we had 12,000 pesos for our chicken dinners. So lots of volunteers spent two hours putting together the pieces of the "Tupperware" gift; others will be picking up the chicken dinners and ensuring they stay hot until we hand them to our families. And we aren't done yet. Sunday, we will have a pool of cars bring all the toys/gifts from GO Restaurant to Viva Mexico. One Monday morning, a team will pick up tables and the children's stocking from Carol's house and get them to Viva Mexico. We are thankful for everyone who helps and donates. Our families deserve this special day. ​Come be a part of this day.